Construction workers face some of the most dangerous conditions of any industry in the United States. New York’s Labor Laws 240 and 241 outline specific safety requirements and other regulations designed to ensure the safety of every worker on the job site. Owners, general contractors and subcontractors have a responsibility to comply with these rules. Failure to do so places everyone at risk. If you have been injured while working on a construction site, or performing any work in the trades on any work site, you may have grounds to seek additional damages beyond any benefits you may be entitled to receive under workers’ compensation. These are complex cases that require the attention of a qualified personal injury lawyer. 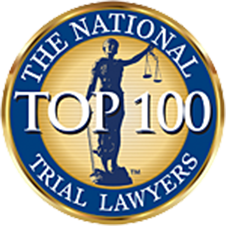 At The North Shore Injury Lawyer, attorney Mark T. Freeley represents construction accident victims throughout Nassau County, Suffolk County as well as in all five boroughs of New York City. Mark and his team represent construction workers in a wide variety of job site injury claims. Mark understands the general contractors’ and subcontractors’ responsibilities in these cases, and he knows how to present a compelling case for damages when the failure to fulfill those responsibilities leads to serious injuries. He conducts a thorough investigation into the cause of the accident while working with professional construction safety engineers to hold all responsible parties accountable. Contact our office to schedule a free initial consultation to meet with Mark about your construction site accident. He will provide a thorough review of your case and explain your legal options. You can reach us by phone at 631-495-9435 or contact us via email to get started. Over the last 25 years I have represented many injured Local 3 electricians involved in job site accidents in lawsuits against General Contractors and building owners. The accidents have varied from falling from ladders or scaffolds to tripping on work site debris, from being injured by falling objects to being electrocuted. In fact, I recently obtained a $4 million dollar settlement for a Local 3 electrician who fell when he was forced to pull cable from a reel on a parking garage rooftop in snow and ice conditions. As most Local 3 electricians know who have been injured on the job at a work site, MagnaComp is the plan that they must deal with for New York State Workers’ Compensation benefits. This plan is the Electrical Employees Self Insured Safety Plan, and is also known as MagnaCare Medical Management. Under MagnaComp injured electricians must notify and update MagnaComp regarding the details of your injuries, all affected body parts, the names of your treating doctors, the date of injury, degree of disability, lost time from work, course of treatment and return to work information. The MagnaCare PPO network MUST be used for all of your medical treatment, so you must choose doctors that are a part of MagnaCare/MagnaComp. To find a doctor that accepts or participates you can log onto the website, www.magnacare.com. Once on the site click onto “Find a Healthcare Provider”, then choose the Network Plan, EESISP/Local3 and search for doctors near you. All procedures, surgeries and diagnostic testing must be pre-authorized by MagnaComp if they are over $1,000.00 for a procedure or group of procedures, for example 24 physical therapy visits. You should contact your MagnaComp assigned nurse for any medical issues. A claims examiner will be assigned to handle your checks and Workers’ Compensation case. It takes 11 working days from the first full day out of work before you can start receiving payments. You are not permitted to be on unemployment or furlough while on Compensation. Checks are mailed out every 2 weeks and they are tax free. After you receive your first check in the mail, you can then contact annuity and apply to take out funds from your account if needed. You should provide the claims examiner with updated medical records every 90 days. In order to receive payments you should have your doctor fax a copy of your medical records and a completed C4 form. If you have questions about MagnaComp you can call me and I would be happy to help you. I am also able to review the facts of your accident and advise you if you have the right to pursue a lawsuit against the General Contractor and building owner in addition to your MagnaComp benefits. You can call me anytime at 631-495-9435 for an honest conversation. You can also visit Case Results here to view the impressive results that I have obtained for fellow Local 3 brothers as well as many other trades. If you have been injured in an on-the-job scaffolding or ladder accident, it is important that you seek the advice of a qualified New York personal injury attorney. While you likely have grounds to seek workers’ compensation benefits, it is possible that you may also be entitled to seek damages in a separate personal injury claim. At The North Shore Injury Lawyer, clients in Nassau County, Suffolk County and the Long Island area receive the benefit of attorney Mark T. Freeley’s more than 25 years of experience with workplace ladder and scaffolding accidents. Mark understands the types of injuries that can occur in ladder collapses and other types of accidents, and you can rely on him and his team to do everything in their power to secure full compensation on your behalf. There is a strong misconception among workers in the trades that the only people who are able to seek compensation are those who are working on an actual construction site. In fact, any person who is working in the trades can seek compensation from a contractor, subcontractor or property owner in these accidents, regardless of the nature of the workplace, with some exceptions. Attorney Mark T. Freeley and his firm have extensive experience resolving a wide variety of ladder and scaffolding fall accidents. They conduct thorough investigations to determine the exact cause of the accident, identify the responsible parties and pursue every available option in an effort to obtain the compensation you deserve. Mark offers a no-obligation consultation to all new clients. He will conduct a thorough review of your case and explain your legal options. Contact our office today to schedule an appointment. You can reach us by phone at 631-495-9435 or via email to get started. Construction workers in the trades, including carpenters, plumbers, electricians, masons, painters, steam fitters, and steel workers are protected under New York’s “Safe Place to Work” laws. The labor law is favorable to construction workers and the law has many sections dedicated to different work activities and injuries. The building owner and general contractor are liable for specific injuries. Injured construction workers have the right to sue the general contractor and building owner, in addition to their worker’s compensation claims. Safe Place to Work laws apply to injuries suffered while performing construction work that is covered under the law. The law covers all trade work performed to construct, erect, repair, demolish or alter a structure. For example, a worker hired to paint a building, install HVAC equipment, replace electrical wiring, or install an alarm system, would be covered by the law. The Safe Place to Work Laws provides protection for workers in the trades from injuries that result from falls from a height, such as ladders and scaffolds. If a worker is injured due to a ladder or scaffold that is inadequate, unstable, defective, or not properly secured, the owner and general contractor are liable, regardless of who owned the ladder or scaffold. The law requires that building owners and general contractors ensure that proper safety devices are provided to workers that are working at a height. The law provides protection for injuries to the worker due to a fall from the ladder or scaffold, materials falling from a height, and protections for window washers. The law also applies to injuries caused by slipping, tripping, electrocution, unguarded power equipment, lack of eye protection, and other activities. The New York labor law is complex and requires an experienced construction injury attorney with knowledge of the many sections of labor law. Attorney Mark T. Freeley has successfully represented countless workers in the trades and has the experience to take on building owners, general contractors, and their insurance companies. Please view our large results page to see the settlements our attorney has obtained for injured construction workers. Mark T. Freeley, Esq., The North Shore Injury Lawyer, in Woodbury, New York, helps workers in the trades throughout Suffolk County, Nassau County and Long Island. 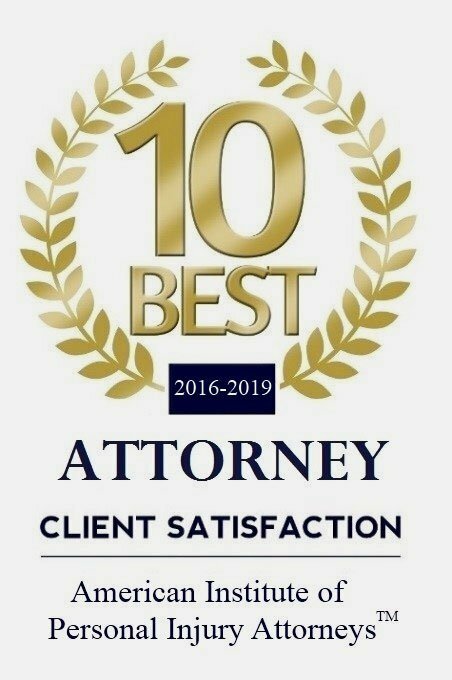 To contact our law firm, please call 631-495-9435.